Sydney’s splendor is its harbor – one of the most beautiful harbors in the world with over 180 miles of shoreline. One of the best ways to enjoy this exceptional harbor and get a different perspective on the sights of Sydney is to sail in the harbor via a tour boat, ferry or cruise ship. Sydney has 34 grand beaches are within easy reach of downtown. Bondi Beach and Manly Beach are two of the most famous. Sydney is surrounded by superb coastline with golden beaches, dramatic headlands, quiet bays and river estuaries – a haven for all things sun and water. Great swimming, surfing, fishing and boating abound. 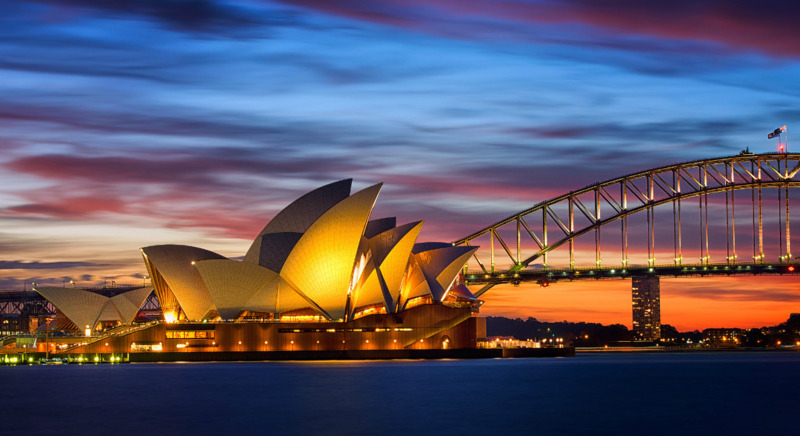 Sydney’s Opera House is the international symbol for Australia. Besides being gorgeous to look at, you can tour it, take in a performance, or better yet do both.